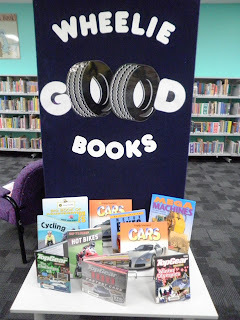 Bree Forsyth, Children’s Library Assistant at Fremantle City Library (Western Australia) has sent this funny and artistic interpretation of the 'wheels' display. I love it! 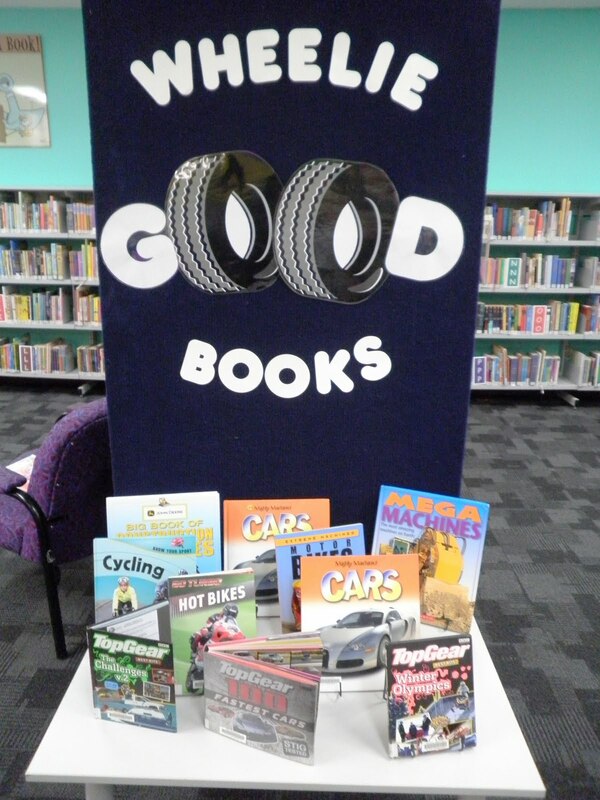 'The “Wheelie big books” display has been a real hit- the kids love a pun & the simplicity of the display means it’s easy to make - the wheel picture is from clip art'.